If you or a loved one suffers from a mental disability that severely limits functioning, you may be entitled to Social Security benefits. If medical documentation supports a diagnosis that limits the ability to function without care or to work and earn a living, filing a claim may be worthwhile. Somatoform disorders that include inexplicable symptoms that significantly impact lifestyle and impair the senses or movement. Daily living encompasses things such as cooking and cleaning, paying bills, driving, self-grooming and so forth. 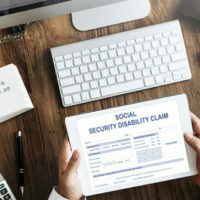 If a person is limited in the ability to do these kinds of things, or requires supervision in order to do them effectively, Social Security may determine that the limitations are severe. If one has trouble behaving appropriately, and ends up experiencing altercations with friends, family, coworkers and others, or if one experiences fears relating to social situations or strangers, that person’s functionality may be severely limited. When determining the severity of a person’s mental condition, Social Security looks at one’s ability to concentrate and persist in a task. Limits in the ability to concentrate may definitely impact the pace at completing work and daily tasks. Psychiatrists and other medical personnel can provide documentation of symptoms, treatments, and other lab findings related to individual cases. Examiners who assess mental conditions are looking for specific evidence of ways in which functioning is limited. The impairment must be severe in order to qualify for disability payments. Mental exams may include both psychological exams and psychiatric exams. Examiners will look at IQ, memory, and general mental status. They will consider recall levels, perceptual abnormalities, eye contact, thinking processes, judgment, and suicidal thoughts. Furthermore, they will want to know whether or not an individual is capable of understanding and carrying out complex instructions. Can the individual handle the pressures that naturally occur in the workplace? If not, Social Security disability benefits may be in order. The road to obtaining Social Security disability benefits can be daunting. At Barbas, Nunez, Sanders, Butler & Hovsepian we have experience in Social Security disability claims. Our effective and experienced team knows how to dot the i’s and cross the t’s in order to streamline your application. In the event of a denial, we pursue the appeal process vigorously. Contact our Tampa office today for a free, confidential consultation.